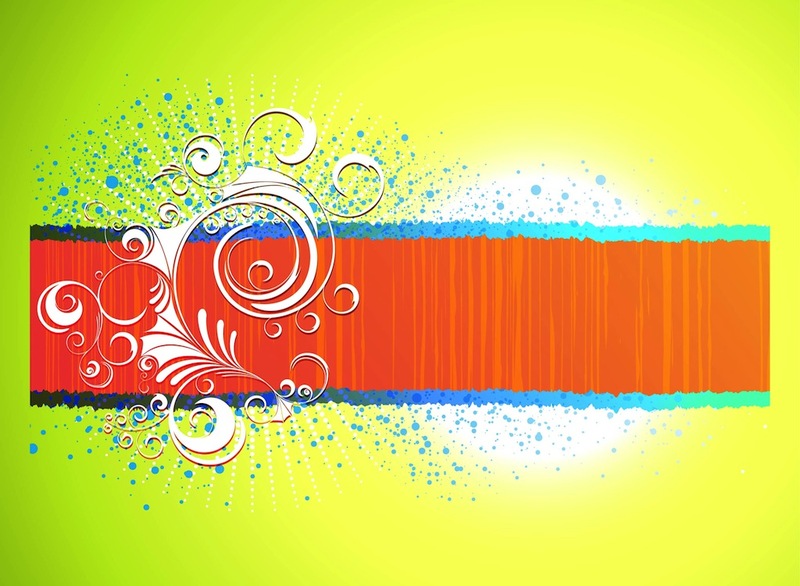 Colorful abstract vector design of a banner with many decorations. Horizontal rectangular strip with uneven edges, splatter patterns with small dots and swirling floral silhouettes in different colors. Free vector design to create banners, website buttons, product labels and stickers images. Tags: Abstract, Floral, Label, Splatter, Sticker, Swirls.